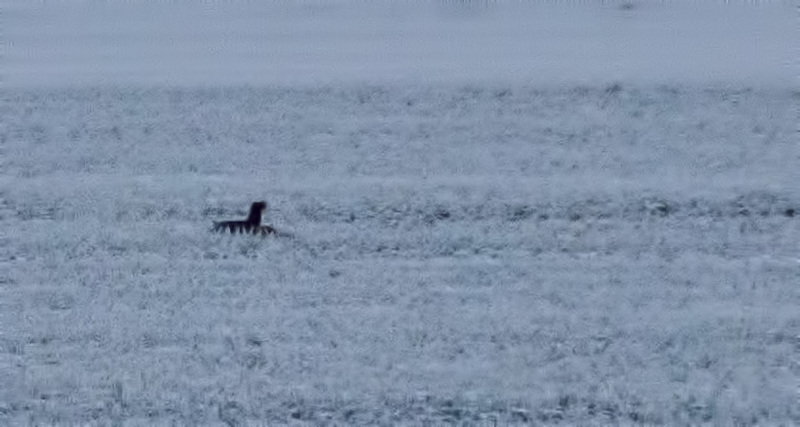 I saw this amazing sight this morning, a rabbit set off across the field. It was being chased by something, the speed of the action was incredible. At first I though the rabbit was being pursued by a bird of prey, so fluid was the movement of the pursuer. After taking a couple of photographs I am quite sure that the animal giving chase was a weasel. Much larger than a stoat. 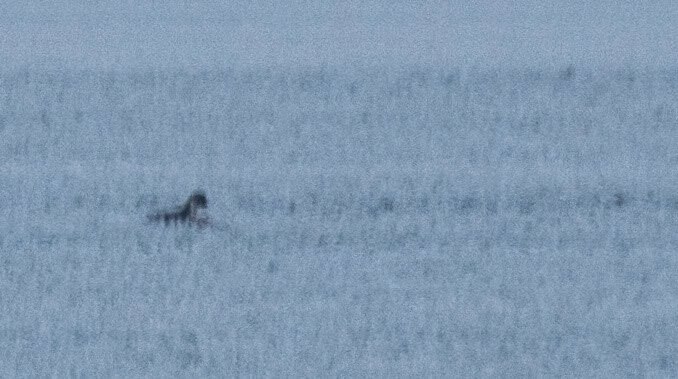 As I got nearer to the two animals, the weasel ran off at great speed. 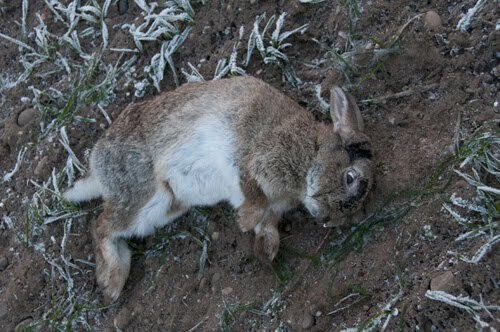 The Rabbit was down and was still breathing and its eyes were slowly opening and closing. I picked it up and carried it to the edge of the field where I know rabbit burrows to be. I wonder if it survived. I'll look tomorrow. 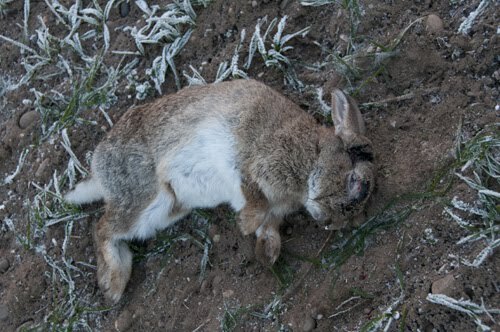 The only damage to the rabbit was the removal of some fur above it's right eye. However the shock of the chase and capture make not bode too well for it. 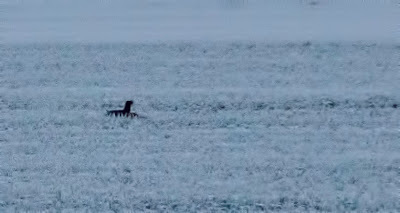 Weasel over the rabbit, taken at great distance.